Majors Craig and Catherine Christ on the field at Dodger Stadium Aug. 20 to be recognized by the team and fans. 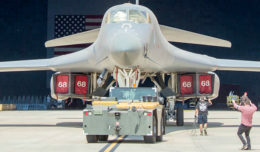 Craig is a KC-135 Stratotanker pilot with the 370th Flight Test Squadron at Edwards Air Force Base, Calif., while Catherine is an admissions liaison officer for the Air Force Academy and flies for a civilian airline. 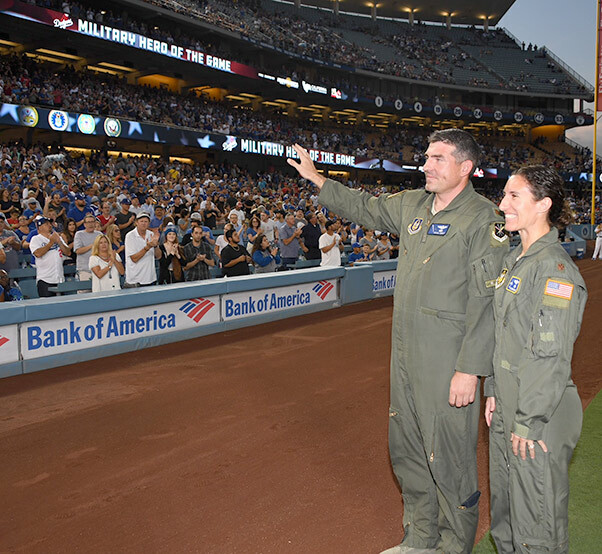 The couple signed up for the Dodgers’ Military Appreciation Program where service members are recognized as the “Military Hero of the Game.” The Dodgers were playing the St. Louis Cardinals that evening.